We look at the two key battles that could have a major bearing on the outcome of the game when Spain take on hosts Russia in the round of 16. Spain will face off against hosts Russia in their first knockout game of the 2018 FIFA World Cup at the Luzhniki Stadium on Sunday. Having made it out of the group after a series of dodgy performances, the Spaniards will be hoping to turn things around and put in a commanding display this weekend in order to seal a qualification to the quarterfinals of the competition. Russia, on the other hand, were off to a spectacular start to their World Cup campaign, until their 3-0 defeat to Uruguay in the final game of the group stage. 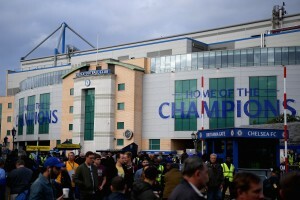 Buoyed by their early results and driven by the home support, they will be keen on bouncing back from the defeat and causing a major upset on Sunday. And ahead of the big game, here at the Hard Tackle, we take a look at three key battles that could shape the outcome of the game on Sunday. 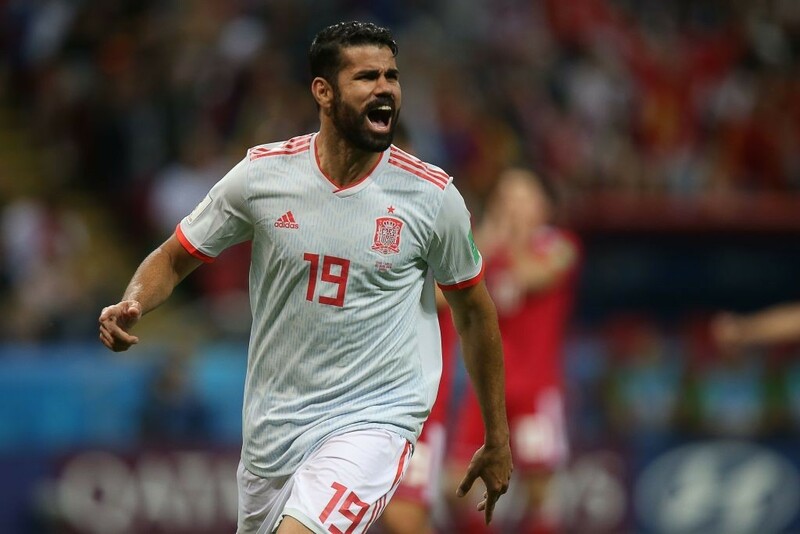 After what was a disastrous campaign at the FIFA World Cup 2014 in Brazil, Diego Costa has been a revelation for Spain this time out in Russia and has been one of their better performers of the summer’s extravaganza. Costa kicked things off with a brilliant double against Portugal in the tournament opener and followed it up with the winning goal against Iran in the next game. The 29-year old has been impressive with his all-round game, be it the linking up with fellow attackers like Isco and Andres Iniesta or the exhibition of pure physical strength like he did against Pepe in the opening game and has demonstrated lethal finishing as well. And the mantle to thwart the dangerous Costa will be on the experienced shoulders of Sergei Ignashevich. The Russian defender, who will turn 39 in a couple of weeks’ time, was called back from retirement by the manager for the World Cup and has impressed on his return to the national side. The most capped Russian player, Ignashevich doesn’t has lost little pace that he had, but more than makes up for it with his positioning and physicality. Both Costa and Ignashevich did not have the best of games coming into Sunday’s encounter and will be raring to bounce back strongly, making for an enticing, physical battle on the cards. 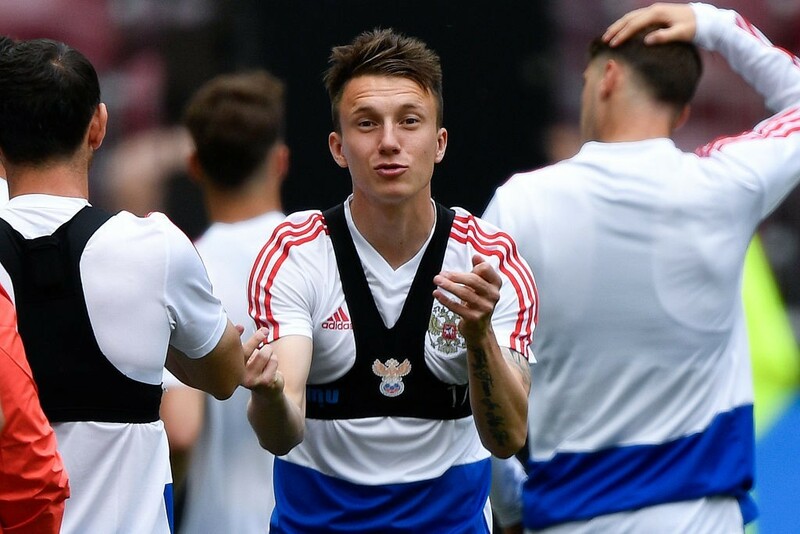 The CSKA Moscow starlet, Golovin, has been touted as the future of Russian football and one can see why, after his splendid displays in the FIFA World Cup so far. The 22-year old midfielder has been one of Sbornaya’s brightest players in the tournament, starting in the No.10 role and acting as the link between the midfield and attack. It hasn’t been much of a surprise that all things positive created by the Russians in the final third usually come through Golovin more often than not. The midfielder has scored one goal and set up two more so far in his World Cup debut. And it wasn’t a surprise that the hosts lacked that bit of creative spark in their 3-0 defeat to Uruguay when Golovin was left out of the starting XI by manager Stanislav Cherchesov. Set to return to the team on Sunday, the reported Chelsea target will be a major thorn in Spain’s side. His ability to find and exploit spaces between the lines and the vision and technical abilities he possesses make him a dangerous proposition. But, in Sergio Busquets, La Roja have one of the best defensive midfielders in the game currently and he will have to keep a close eye on the dangerous Golovin on Sunday. From shadowing Golovin, to making sure he doesn’t have a lot of time on the ball by constantly pressing, Busquets will have to ensure that the 22-year old is not out of his sight even for a moment. A seasoned campaigner, the Barcelona star has been around for a lot of years now and will need to muster up all his years of experience in order to deny the Russian star a chance to dictate play in the final third.